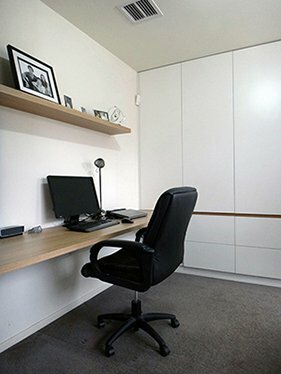 This streamline home office makes the best of a very small space. 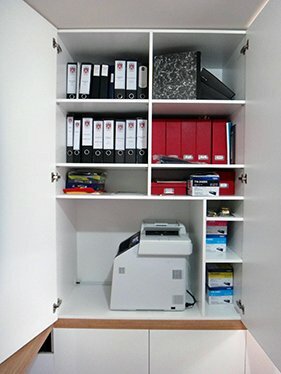 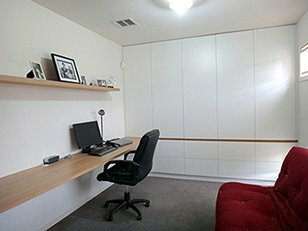 The brief was to be able to use this small room for both the home office, to be used on a daily basis, and as a spare room when needed. 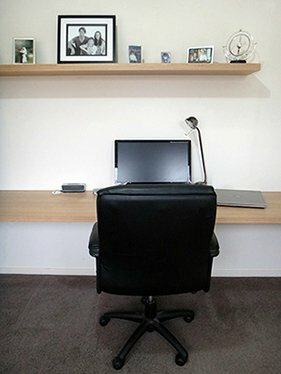 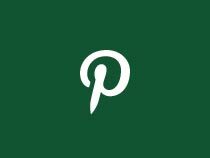 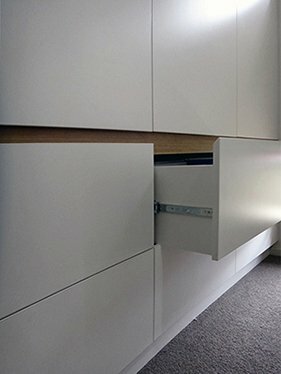 Using the combination of a storage wall, including file drawers, a floating desk and a futon sofa bed, we were able to incorporate everything that was needed. 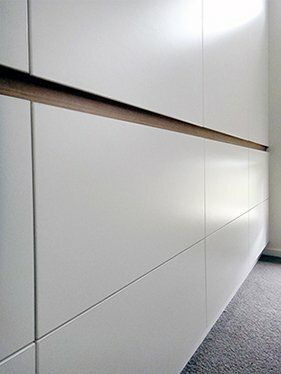 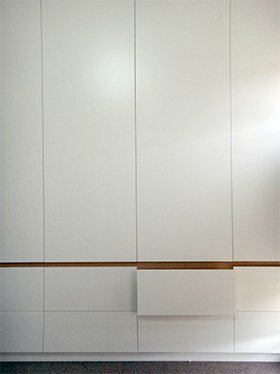 The desk is in Laminex Sublime Teak and follows through to create the finger pull detail on the Laminex White cupboards.